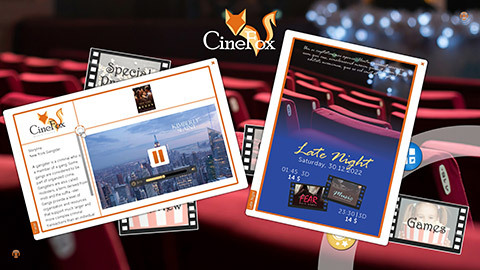 Interactive digital signage touchscreen software for Cinema, Cineplex & Movie Theatres. 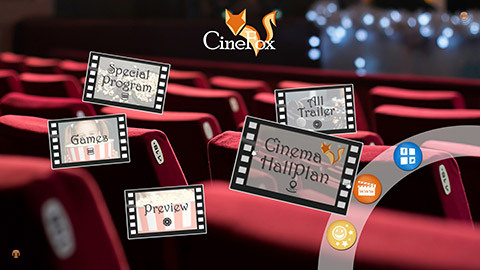 Innovative touchscreen apps to present screenings at the cinema & theater. 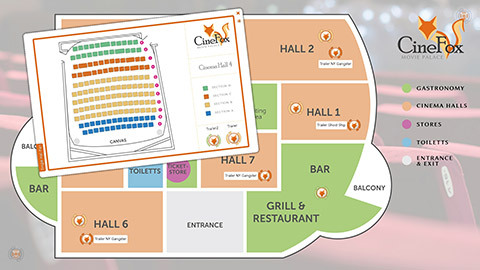 Offer guests an interactive overview of the cinema hall, location of toilets and other important point of interests. At virtual terminals equipped with headphones, several users can simultaneously watch the current movie trailers. 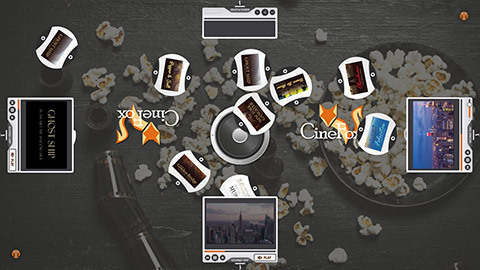 Via interactive menus, users can select and start the desired content, widgets and apps. Guests can inform themselves about current dates and events via interactive terminals.